Writing a blog isn’t as time consuming as you may think and so long as you put in the ground work at the beginning and come up with regular content ideas, the website will do a lot of the work for you. I only spend about 12 hours a week working on my website, and I want to show you that it’s possible for you to do the same. Content is king. I do my absolute most to write the best content for my niche on the internet, and that’s why I dedicate so much time to writing. Even more important than writing though is planning, as in some cases it can literally halve your writing time. I’ve written before in detail about how important planning is, and I really can’t stress it enough, because when you start writing with no idea how you’re going to structure your post or what to include, it can take a lot longer. I work Tuesday – Friday for other people, so I have the weekend and Monday to work for myself. I try to get all the writing out of the way on a Monday so that I’m set up for the week and not having to work evenings, and this usually works pretty well. It’s important to treat it like every other work day, and get to your computer at a sensible hour. Because I know much more about photography, I can write content pretty easily once I’ve thought of an idea, and you should be able to too, if you knowledgeable about what you’re writing about. I find more than anything that half of the work is done as soon as I’ve thought of an idea that I can write about. I’m pretty good at writing, but once I’ve got an idea, or even just a vague title, I can start planning what I want to include in that post and build it up from there. It’s hard coming up with good ideas all the time, but the trick is to keep thinking along the lines of what you know the most about, what people are asking to learn and what other people in your niche are writing about. I subscribe for about 50 RSS feeds of people in my niche and take inspiration from a combination of what they’ve written. It’s good to see what’s out there because then you know what you have to compete with and how well you have to write to create better content than them. That’s always my goal, because if you’re not writing content better than everyone else, then what’s the point in writing at all? My website survives the way it does because my readers stick with me after they’ve read a couple article, knowing that I’m writing important and relevant content. For me, this is photography, but for you it may be something completely different. When I say original content, I don’t mean text, I mean something else that sets you apart from the competition. This is relevant to everyone, even if you’re just spending some time making a diagram, or arranging an interview with someone – there’s always something that you can do. I spend 2-3 hours each Thursday night either going out and taking photos by myself or seeing a model who will pose for my photos. I like to keep the photos fresh on my website so that I’m not constantly using the same ones over and over again. This means that everything on my website is 100% original and 100% the product of my hard work, which is starting to gain me some recognition. I would say I get at least 1 comment a day on my website, Facebook or Twitter, thanking me for my hard work and I even get comments from people asking where I get the photos from. This small step doesn’t take long, but dramatically improves your content and sets you apart from your competitors. This used to take me at least 5 hours a week, but I’ve got the majority of it automated now. I now follow people in my niche, follow back new followers, unfollow people who don’t follow back, tweet relevant content and tweet links to my own site and Facebook, all automated from 1 single program – TweetAdder. This now takes a lot of stress and time out of my work and allows me to focus on a more personal side of Twitter where I can interact with other readers. The Twitter side to my marketing is actually pretty good fun and doesn’t feel like work, as I get to watch my following grow everyday and it’s a great way to interact with readers because not only do your readers get something out of it, but potential followers see that you’re actually human and not just an automated tweeting machine, which makes them more likely to follow you. One of my favourite parts about Twitter though is that I can use it to get attention from much more important people in my niche remarkably easily. Just today, I tweeted to someone with over 50,000 followers who’s at the top of their game and they replied. This means that they’re starting to notice me and over 50,000 people were tweeted my name. I treat Facebook very differently then my Twitter as I only post my own original content and photos, and I have the ability to have group discussions. I’ll post 2-3 photos a week on the fan page, along with the 3 tutorials that I’ve written and information about what I’ve been up to and what I’m doing next. I check my fan page multiple times in a day, but that’s merely out of interest, I don’t really do much work there, I wait until it’s the right time of day to start sharing content and discussions. The last thing that takes up any real time is checking my Analytics to see how well I’m doing. It’s important to know whether you’re having a good day or a bad day as there’s a lot that you can learn from it. I’ve learnt a lot more about what days to post and what time of day I should be posting to ensure that I’m getting regular visitors to my site. It also helps to know their traffic sources and amount of traffic because it’ll tell you something about the sort of content that you should be writing. On days where I experience a large boost in traffic, it helps to know right away so that I can make the most of it. I can target the page and perhaps add a link to content that I want them to see, or I’ll re-promote relevant content in the featured post slider on the home page which will help to ensure that the visitors are spending longer on my site, and maybe even spending money. When you know that a particular site has sent you a load of traffic, then it’s always good to contact them or promote them too as they’ll recognise this and be more likely to promote you again in the future. I hope I’ve shown you that it’s possible to make a website work and grow without having to work on it full time. It’s not really a full time job, it can just be a little bit of extra income, until it’s paying you enough money to go full time. I’m not really making much money at it yet, but it’s not taking me much time either so I can still go off and pursue other interests while my website is growing. That’s something I do a lot of, in fact, I’m going to Croatia for 11 nights at the end of the week, I just need to write a few blog posts before I go so that I can forget about writing while I’m out there. 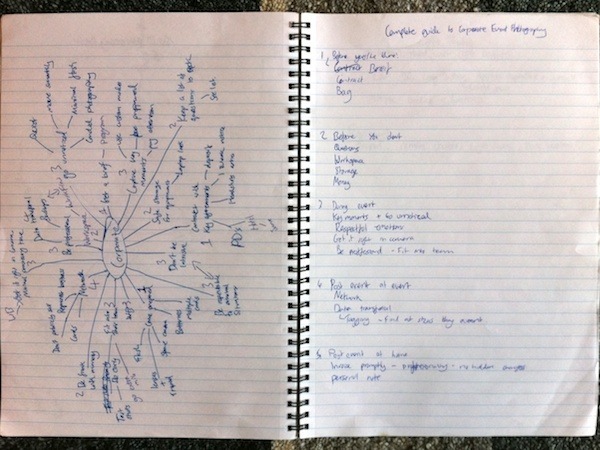 I like the idea of organizing your thoughts befire you start writing to shorten time. I think it should definitely be effective for me. Too often I draw a blank between paragraphs, becaues I had no idea how to organize what I’m saying, wasting me lots of time! Having an idea of how you’re going to write your post makes a lot of sense and I can see that saving a lot of time. I really need to be more efficient when I sit down a write. I like this article. you teach me how to manage my blog well. thanks a lot..
BTW, I think your Retireat21.com blog has been hacked because everytime I try to enter, a warning from Google saying it has malicious software appears. Josh, you are a great writer. I always enjoy your posts. Keep up the good work my friend. I disagree with unfollowing all that don’t follow me on twitter. Many times if I want a bump in how many are following me…all I have to do is reply to a tweet from someone with a big audience. 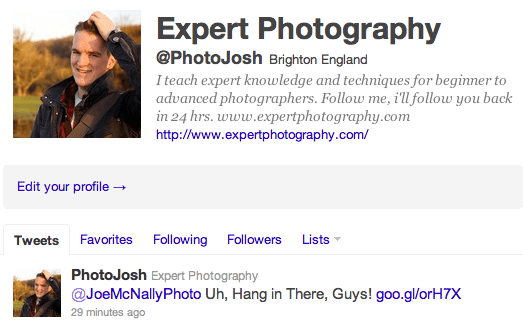 If I say something pertinent I notice a jump in the number of people who are following me. The idea of following someone just because they follow me, or vise versa is ridiculous. I follow Richard Branson because I admire Richard Branson…I don’t expect him to follow me. Thanks for the post, these are some great tips that any blogger can use. You can have no idea of how incredible insightful is to know this, this will save me tons of hours, and I agree with you, planning is everything, thank you very much! really great article, lots of good tips. Content writing is also time consuming for me as content is king! Awesome post Josh. Your Twitter tip really makes a lot of sense. P.S. 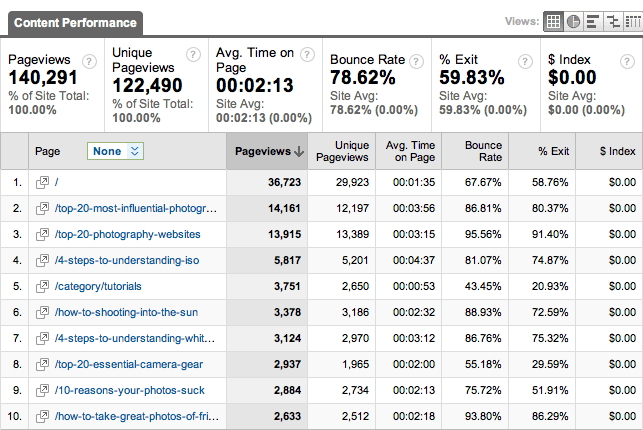 Looks like your photography site is really doing well from the analytics screen shot. I have recently started in the IM game and there is so much gumpf from so many people, when I find myself reading one of your articles, I always get something out of it! Thanks, I will definitely continue to follow you. Sorry if I sent 2 comments, but I had not finished and pushed enter by mistake LOL!! It takes me about two hours to write a post and another hour to clean it up the best I can. I like to sit on the post for another hour and then go through it again to see what I can change. I then go through the post after I post it online and make some final adjustments. I’m more worried about optimizing the posts for particular keywords than just pounding out content and slapping it up. Cranking up the on page SEO can make all the difference in traffic. This morning it took me about three hours to pound out a 1,000 word post. That included fixing images, editing, posting and double checking everything. The rest of the day goes to marketing, emails and creating products to sell. I always have a Notepad doc open where I write all post ideas. Sometimes I pull my posts from the Notepad doc and sometimes I wake up inspired by a thought. 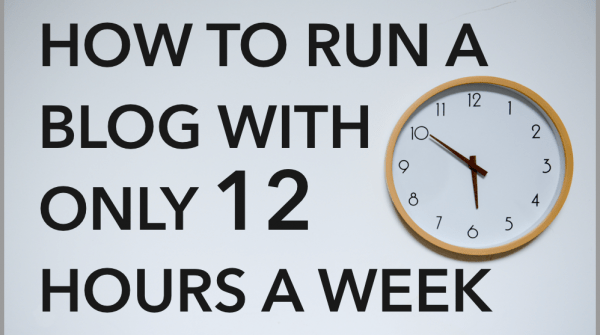 If you can devote full time hours to your blog, it will grow much faster. Hey Josh! Truly amazing system you have here! Very well organized and planned out. I have to get more organized and really get a schedule going. Its good to see your blogs analytic’s. I always wondered how you get these much traffic after three months. I started my second blog just two weeks ago and is now competing with yours (on traffic). Your top lists are the one getting you the traffic. I’m working on full time job, and i really need to make a plan for my working hours on my new blog. Thanks indeed for ideas. Great article! 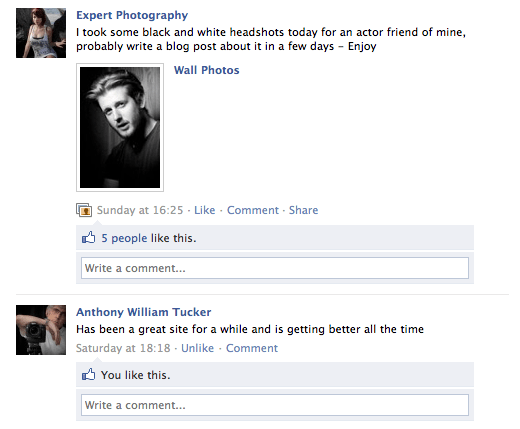 I need to work on my site more. I started because of this blog – it gave me the right motivation! I will write a lot of new articles, so I can get decent traffic with promotion then. Croatia is a beautiful country. I live in Slovenia, near Croatia 🙂 Happy holidays! I organize my blogging and internet marketing by 30 minute interval, and have list made up to keep me productive, the biggest chunk is writing (whether it be guest posts or my own). The key is making a list of all the things you need to get done, and then see how much time and make it work for you. I write about the Bible and finances, but I sometimes have a hard time sitting and writing. I get distracted very easy when on a computer. I like to talk instead of write, so I thought about a voice dictating program, what do you think? Thanks for this great article. I look forward to emails from ID, and both you and your brother! Great article. I like the way you break down the time line. It really gives a new blogger and idea about how to get started the right way. Doing what everyone else is doing isn’t really a path to success there has to be something truly unique to inspire and take it to the next level. I think time management and being organised are very important in all aspects of our daily lives. Without it, everything just seems to get in a muddle. I alocate my working time and then alocate how much time for certain tasks, some take longer than anticipated so I have to have some flexibility, but I find it works. Thanks for sharing how you manage your work week for your blog. Indeed content is king and writing good quality content is a sure fire recipe for success. So many people compromise content quality and wonder why no one visits their blogs and frankly its something I’ve slacked off at for the last little while as I’ve been focusing on product creation, however once I launch my current project I’m going to focus way more on content creation. Thanks for the reminder. I think you should be giving 1 hr to facebook and 30 minutes to twitter. Facebook more viral and better in getting traffic and loyal readers. Excellent post Josh. I truly belive that time management is key to any successful business, website or blog. 8 hours of content sounds good to me. Apart from content isn’t really kind. I’d allocate 4 hours to SEO. You answered a question my wife and I’ve been puzzling over. Am also trying to perform well in a day job, write a great blog and have a life. Glad I looked in, from your email. Josh, thanks for the tips. Now I’m able to manage my time wisely. This world is a fair world. Everyone has 24 hours day. The difference is how we manage our time wisely. I wasted most of my time doing things unnecessary. Great article. I agree content is king and creating your niche is a must. Well done to you and your achievements. If you had to name 3 of the best competitors to Google Adsense which would they be. Well written article Josh, and with the tips, you mentioned here, I really hope that I will be able to manage my blog. Some of these tips took me so long to figure out. Now, I have learnt a whole lot more in less than 3 minutes. Again, great post. With these tips I should be able to cut down the time I spend on my blog. Streamlining the whole process is a key that needs to be mastered in order to really enjoy the blog. Thanks again.